Today my account was debited 1,99 Eur for internet, while there were still available megabytes of my MEO TOP TOTAL 3G. After I tried to ask for help online, the operator readdressed me to APOIO 1696,which I did. 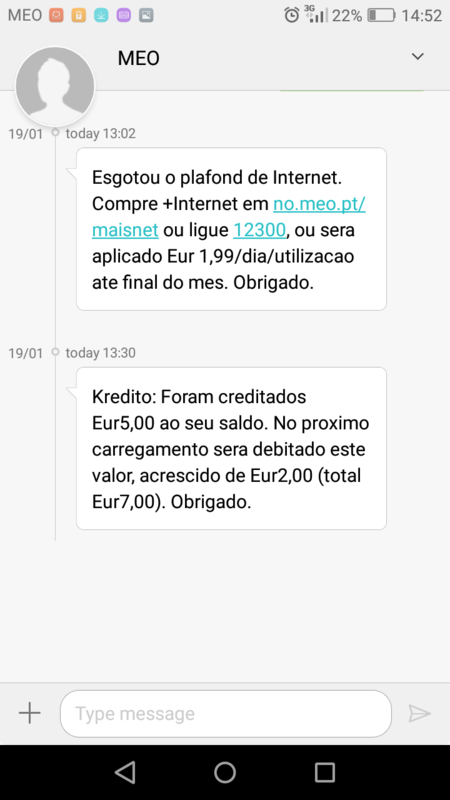 After automatic reply my account was credited 5 eur, which I did not ask. 1. How to check when my package was rennovated? According to the sms I received it was on17 of December. 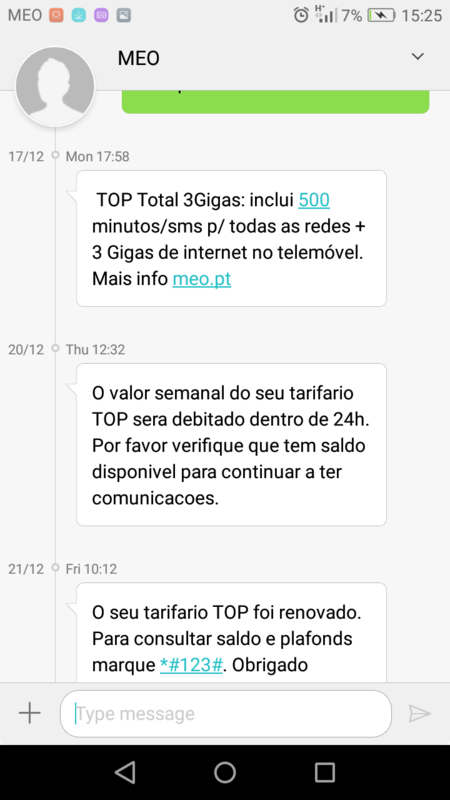 Why after all necessary payments new rennovation of TOP TOTAL 3 GB did not take place on the 17 th of January? 2. 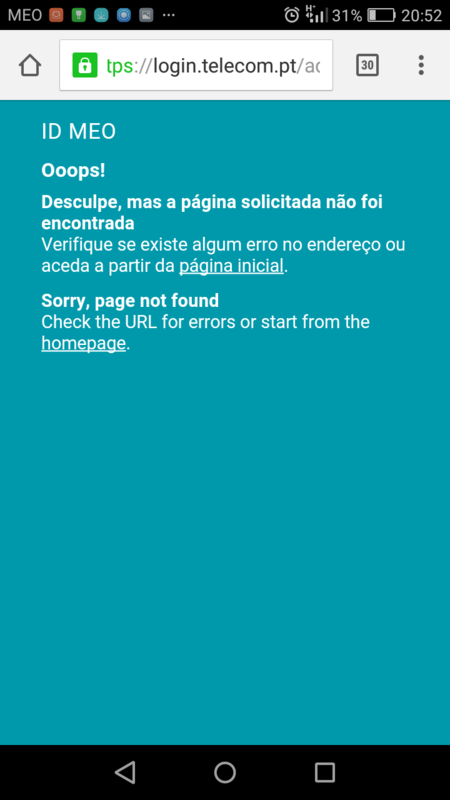 When I try to enter MY MEO I received an error . I am attaching screenshots. 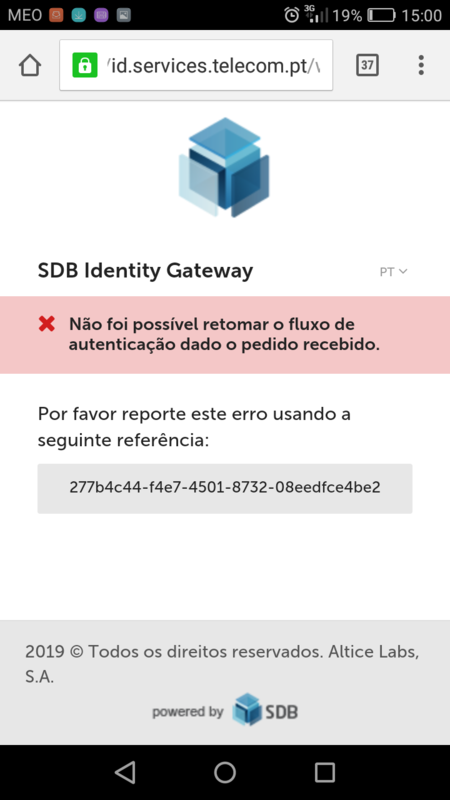 Where should I address the error report? 3. If I have a service claim, where I should submit it to receive an official reply? Thank for you help in advance. Please, take into account that my call to internrtt service 12300 resulted in 15 minutes silence. Unfortunately, all calls to your support result in calls transfers and connection interruption afterwards. Why my Top Total 3 GB was last renovated in the middle of December , was nor renovated in Jan and in spite of total payment of 26 eur since mid of December till now and 235 MB on my account this morning, WHY YOU DEBITED 1,99 EUR? I did not express ANY wish to change my tariff plan. Your relaxing music during 15 minutes of wait for operator reply does not help.